The “Cabeibusha, the Curly Gem” documentary is a book & movie combo, which came out in October 2015 and it features 9 times Windsurfing Worldchampion Sarah-Quita Offringa from Aruba. 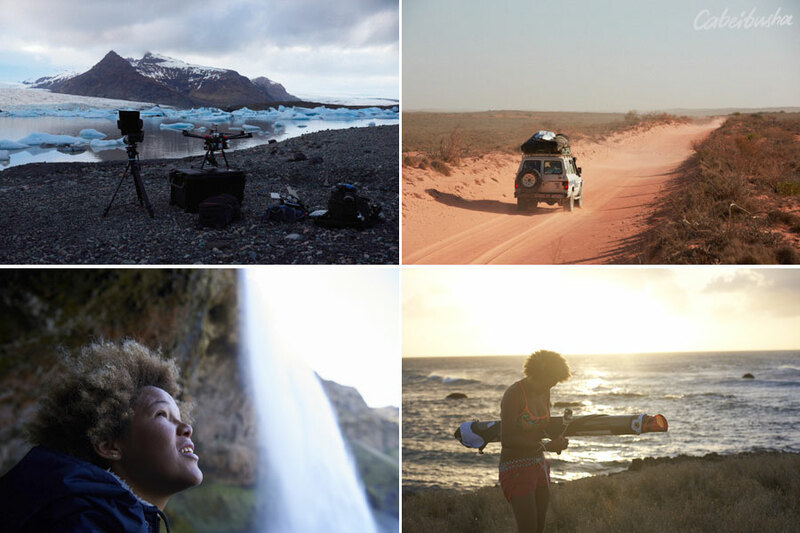 “In this documentary we follow Sarah-Quita on her travels in 2015. We’ll follow her as she ventures out into the world exploring new destinations and meeting new people. We’ll also see how she prepares for the upcoming competition season as well as how she is coming along competing in all three disciplines on tour. This will be the first time to have a female protagonist in a windsurfing movie. Furthermore in this documentary instead of focusing on pure windsurfing action, we rather shed light on the lifestyle of a professional windsurfer. Which typically involves travelling the world, training, finding new spots and coming in contact with new cultures,” says Julian Robinet from broken bloke Production. Sarah-Quita Offringa and broken bloke Production worked for 8 months and the movie had its premier show during the 2015 PWA World Cup on Sylt/Germany. “We talked about doing something together almost 2 years ago. Now after 8 months working together, Julian and I have finished most of the filming for Cabeibusha and are finalizing the project. I never imagined so much time and effort would go into making such a movie. I’ve done a couple of photoshoots here and there. Smiling and taking pictures for the camera is not a problem for me. It’s a snapshot in time. You’re allowed to crash. Filming is a whole other ballgame though. Going as big as possible and landing your moves becomes more important. For this movie we aimed to show the lifestyle of a windsurfer. Explore Australia and Iceland with us. See what my homespot Aruba looks like, and find out what the PWA tour life is like. Yes we wanted to have great action but thought the storyline was also important. We’ve had so much input and help from everyone at the places we’ve been too. I just wanted to thank them all for the willingness to help us out until now. Cool Sarah! Heel erg benieuwd!